You are not logged in. [Log In] Synth Zone » Forums » General & Computer Related » Wanted To Buy & Sell » Yamaha Tyros 5 with AJAMSONIC package for sale. #467578 - 03/17/19 12:51 PM Yamaha Tyros 5 with AJAMSONIC package for sale. 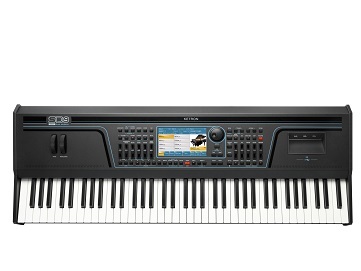 Up for sale is a Yamaha Tyros 5 in new condition. This unit comes with the AjamSonic upgrade package installed (which enhances styles with Live drums and better DSP setting for stage use). Also adds over 2000 professional Karaoke/Mp3/Midifiles/Wave tunes stored in a 500GB Drive. Contact us at 267-323-5005 if interested.